Last week, the Paso del Norte Health Foundation (PDNHF) announced a $6 million grant will be awarded to Texas Tech University Health Sciences Center El Paso (TTUHSC El Paso) in support of its new dental school. 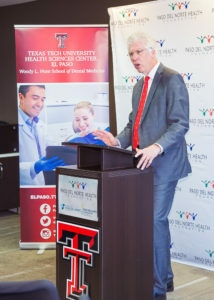 The multimillion-dollar grant will fund the development of a unique, community-centered curriculum for the Woody L. Hunt School of Dental Medicine (WLHSODM) — the first dental school on the U.S.-Mexico border. Unlike traditional rote-based learning, the WLHSODM curriculum will focus on service education, a form of teaching that encourages meaningful community service. The approach results in one-of-a-kind, hands-on experiences that allow students to apply their newfound knowledge and skills to life beyond the classroom, while simultaneously helping the community. As part of the community-based teaching approach, a low-cost dental health clinic will be established in central El Paso. 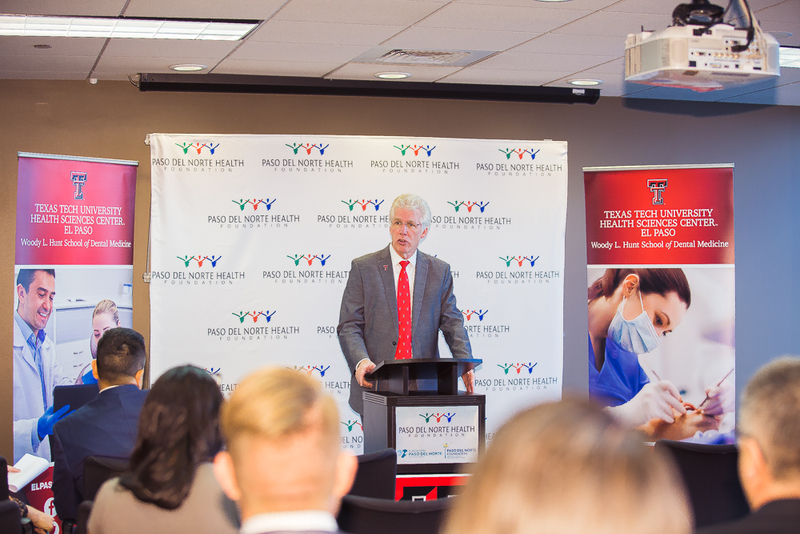 There, students will train with WLHSODM faculty and provide affordable dental services to one of the city’s most underserved communities. 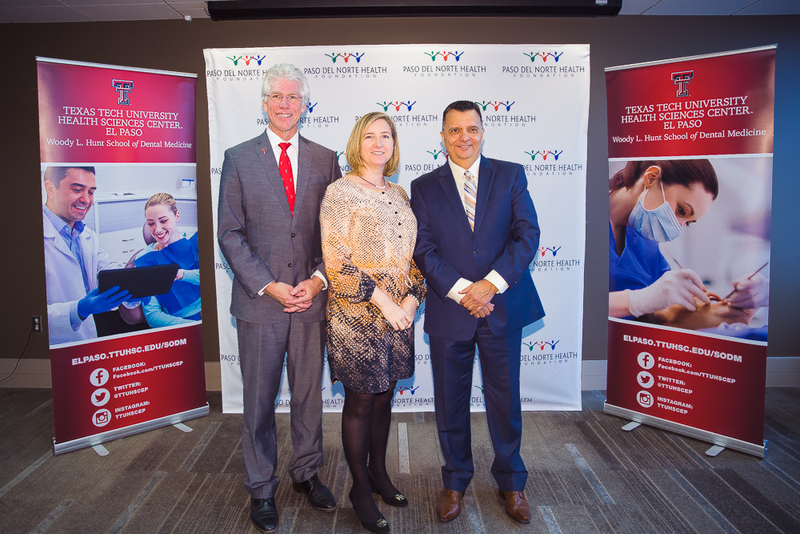 Additional training opportunities will take place at local private practice dentists’ offices, as well as clinic sites for organizations that provide affordable dental services to the poor. 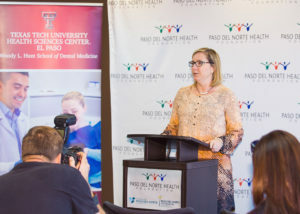 As part of the school’s mission to improve access to oral health care on the border, faculty and students in the WLHSODM will reach out to rural communities in West Texas. 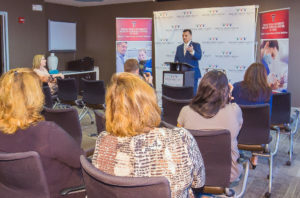 These communities — which currently have few to no dental health professionals — will receive preventive oral health education. Once established, the WLHSODM is expected to create 100 new, highly-skilled local jobs, infusing an additional $5 million into the El Paso economy in labor income. “We believe that the health foundation’s commitment to the new dental school will increase the awareness and importance of oral health, support a local supply of future dentists and hygienists, support community dental clinics, provide faculty appointments for local dentists, and contribute to the overall economic growth in the region,” says Tracy J. Yellen, CEO of the PDNHF. The first cohort of 20 future dentists will be admitted in 2020. 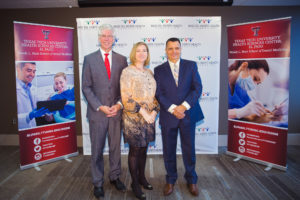 By 2023, the WLHSODM is expected to admit its first class of dental hygienists; the two-year program will educate dental professionals on how to work closely alongside the school’s newly graduated dentists. At full capacity, the WLHSODM will graduate 75 dentists and 60 dental hygienists per year. The development of the new dental school is expected to cost between $50 and $60 million. 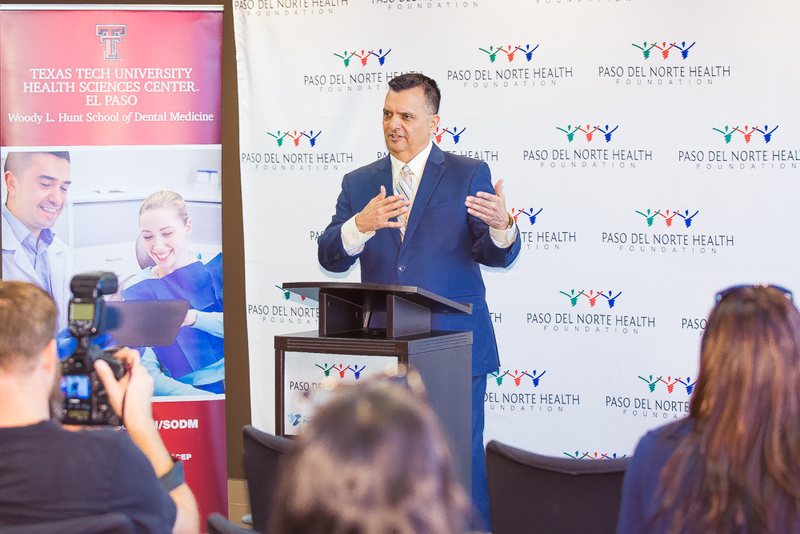 $31 million, however, has already been raised, thanks to a generous gift from the Woody and Gayle Hunt Family Foundation, and now, the PDNHF. Photos by Raul de la Cruz, Office of Institutional Advancement.